I’m going to preface this post by saying I never thought I’d be reviewing a pair of pants from Lululemon. With that said, a few weeks ago a friend had mentioned that he loved his few pairs of ABC Classic (Anti Ball Crushing, more on that later) Pants. I took a look at them, and found a pair on sale for $80. I figured I’d give them a try. Pulling these pants out of the package, they felt very comfy and stretchy to the touch. I originally thought, based on the website pictures, that these would be something I could wear to work on a very casual Friday. But putting them on for the first time, I quickly changed my tune on that thought. They have much more of an athletic look to them (think golf pants). While the fit was very good, these didn’t belong in the office. But what they did end up being great for was traveling. I recently went on a vacation, and wore these through the airports and such. Travel days can be very long, and your clothes should be accommodating to all of the moving around you’ll do. These ABC Pants were perfect for that, and I love how functional the pants were. One of the things I like the most about these pants are the pockets. 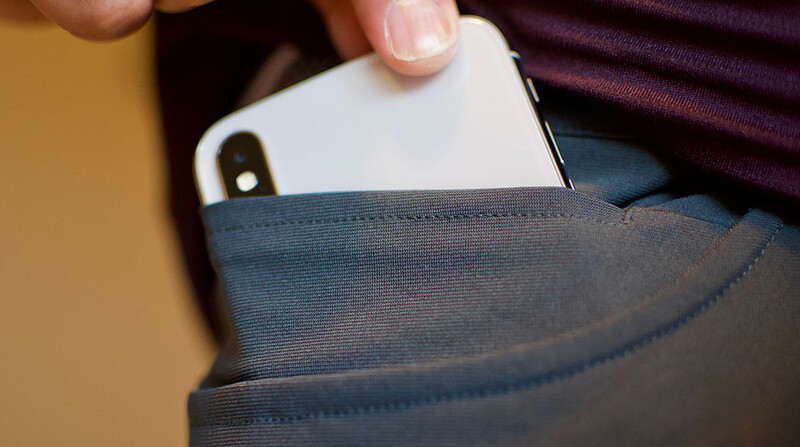 The change pocket was oversized, and fit my iPhone X very snug and comfortable in there, leaving the two front main pockets available for anything else. Even though I regularly use that change pocket on all my other 5-pocket pants (for chapstick), they generally aren’t too functional, because who carries change anymore? 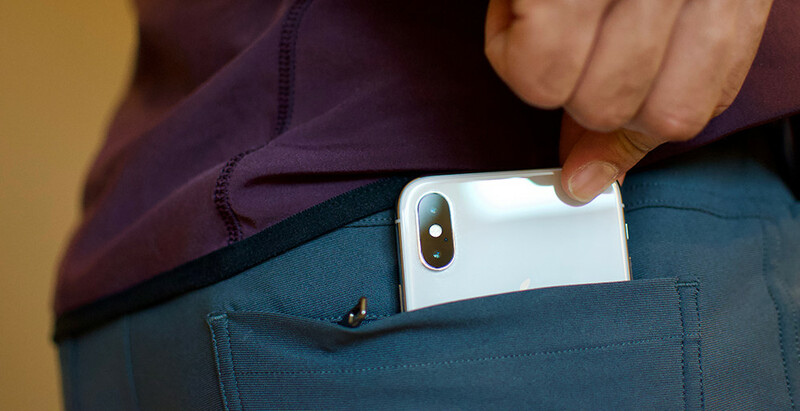 There is also a hidden zippered back pocket inside the normal back pocket, which can also fit a phone or passport when traveling. This is a nice touch. The Anti Ball Crushing “engineering” just seems like a marketing gimmick. I’ve never had ball crushing issues with my pants, especially athletic pants. So don’t get suckered in by that. Any pants with good stretch should be accommodating for your man parts. These fit pretty well. It’s a slimmer fit, but far enough from skinny to stay comfortable. They’re 34″ in length which is perfect for my height (6’2″), but if needed you can slightly cuff them which would look good also. One thing I don’t love about the fit is how the material seems to bunch at certain spots. I struggled with what tops to wear with these pants. Visually, they have a bit of a shine to them, and really lend themselves to an athletic look, despite how they appear on the website. T-shirts would be a safe bet for these pants, but whatever top you wear, lean more towards activewear, and you can’t go wrong. Don’t think you can pair these with button downs or sweaters. It will not look good. 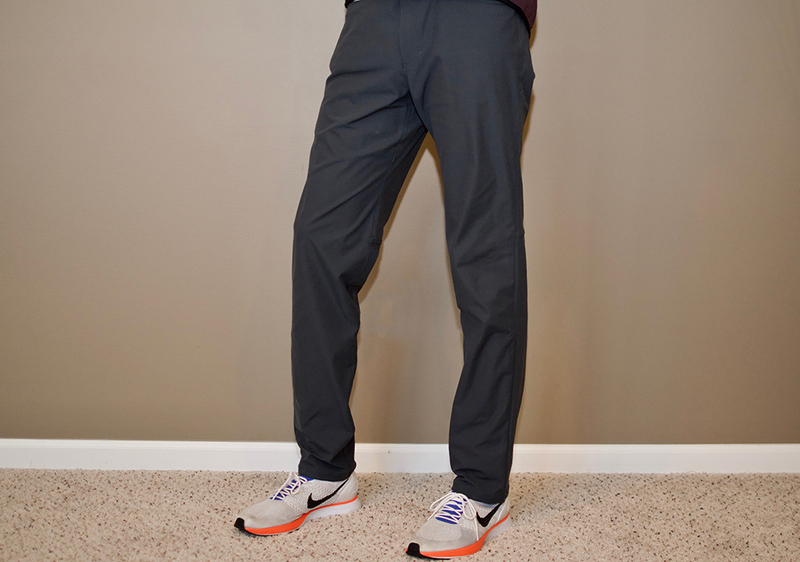 If you’re an active dad, going to birthday parties or sporting events, these pants are worth your attention. As a dad, I’m always on the lookout for clothes that will fit my on-the-go nature with the kids, and when sports starts back up, I’ll be in these pants a lot. These pants will also challenge me to dress well with activewear. Normally I’m either dressed up nice, or in sweatpants and a tee. These in-between space is new to me, but I’m going to make it work. But don’t think these are pants you’ll wear and try to be the best dressed in the room. These aren’t that. Treat them as a step up from sweatpants. Overall, I really like these pants. But at their price point, it’s really tough to recommend them. Full price, they’re $128 and that’s a lot to pay for an activewear item. If you have money to burn and a need for these type of pants, give them a try. But if you’re not wanting to shell out the money, I certainly recommend having pants like these, but at a cheaper price point.